Sentinel-2B satellite was launched in March 2017. Image: courtesy of ESA. 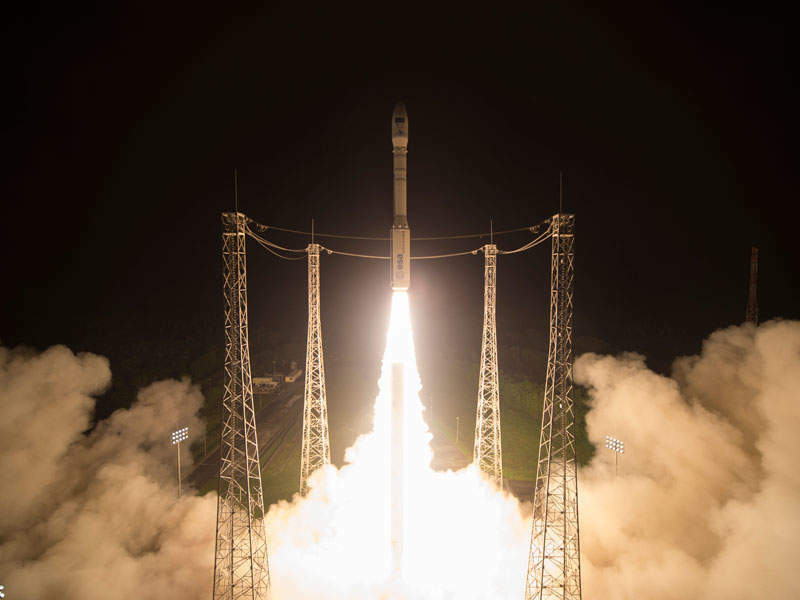 The satellite was launched aboard Vega rocket designated flight VV09. Image: courtesy of ESA–Manuel Pedoussaut. Sentinel-2B was launched from Vega Launch Complex (SLV) located in Kourou, in French Guiana. Image: courtesy of ESA–Stephane Corvaja. Sentinel-2B is the second of the twin satellite Sentinel-2 constellation. Sentinel-2A, the first in the pair, was launched in June 2015. The Sentinel-2B earth observation satellite was launched into the space in March 2017 from Europe’s Spaceport located in Kourou, French Guiana. 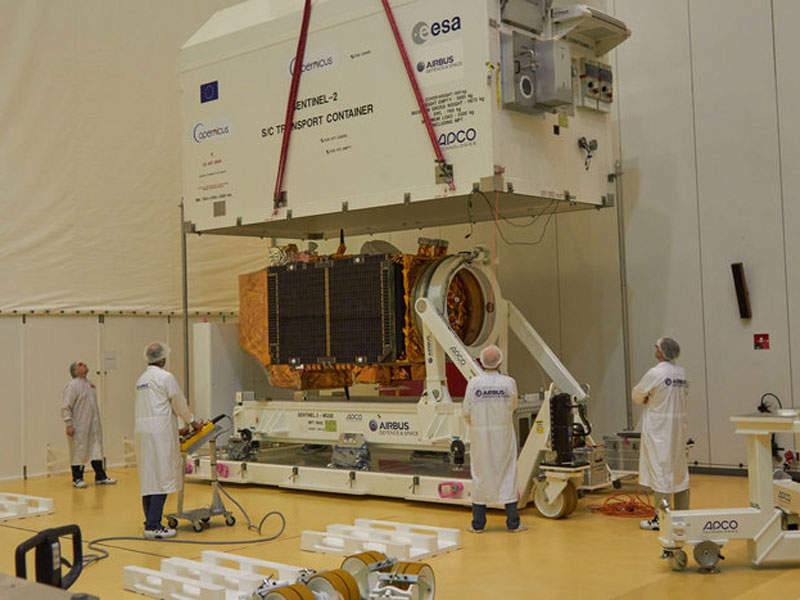 The satellite was developed as part of the Copernicus programme led by the European Commission (EC) in partnership with the European Space Agency (ESA). Aimed at establishing independent and reliable access to earth observation data to Europe, the Copernicus programme was formerly known as the European Global Monitoring for Environment and Security (GMES) programme. 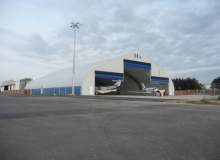 It is funded jointly by the European Commission and the ESA. Sentinel-2B will be placed at 786km altitude in the Sun synchronous orbit, and will provide data for monitoring land use and changes, soil sealing, land management, agriculture, forestry, and natural disasters. It will also be helpful to offer assistance in humanitarian aid missions. Designed and constructed by Airbus Defense and Space (ADS), the Sentinel-2B satellite is based on AstroBus-L platform. It has a launch mass of 1,130kg, and dimensions of 3.3m x 2.3m x 1.7m. The designed lifespan of the satellite is seven years and three months. It also includes deployable solar array and batteries. The GPS navigation receivers for the satellite were provided by RUAG Space. The thermal insulation for the laser communication terminal was provided by RUAG Space Austria, while the data management equipment was supplied by RUAG Space Sweden and Finland. RUAG Space also supplied antennae and GPS receivers. RUAG Space’s Swiss facilities supplied Solar Array Drive Mechanism for the satellite. The payload fairing for the Vega rocket housing the satellite was also provided by RUAG Space, Switzerland. 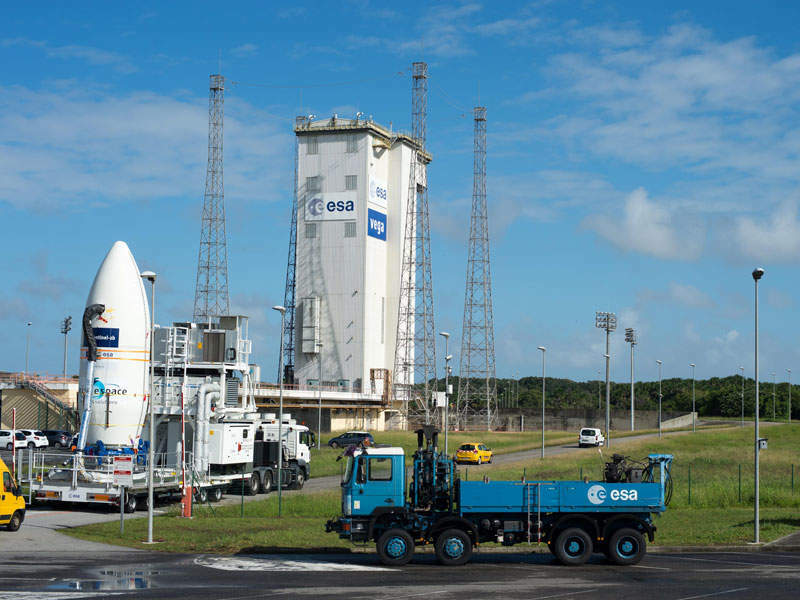 The satellite was transported to Kourou for performing pre-launch tests. It was encapsulated with Vega rocket fairing and rolled out to the launch pad in January 2017. Sentinel-2B is fitted instruments similar to those used in the Sentinel-2A satellite. The 2B features multi spectral instruments (MSI) including 13 spectral bands with a resolution of 10m, 20m or 60m. It gives the satellite high-resolution novel spectral capabilities including a field of vision covering 290km and many revisit times with exceptional views of Earth. The satellite includes a three-mirror silicon carbide telescope with dichroic beam splitter. Sentinel-2 satellites have an objective to provide full and systematic coverage of global land surface over Europe and Africa, from 56° south to 84° north coastal waters, and the entire Mediterranean Sea. Sentinel-2A and 2B satellites will orbit at a mean altitude of approximately 800km with a revisit time of five days at the equator. Working in tandem, the two satellites will cover the entire surface of the Earth in five days. Sentinel-2B will provide imagery land-cover maps, land-change detection maps and geophysical variables, leaf area index, and chlorophyll and water content. It will also provide pictures of floods, volcanic eruptions and landslides. The data provided by Sentinel-2B will provide benefits by helping land management, agricultural industry and forestry, and disaster control and humanitarian relief operations. 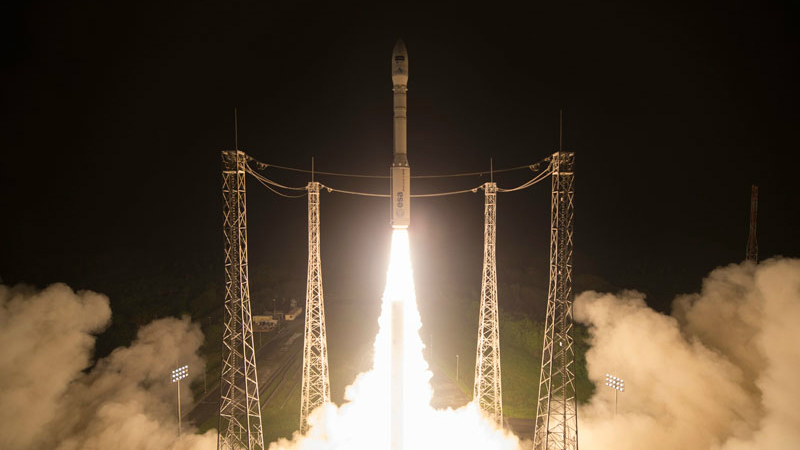 The satellite was launched aboard four-staged Vega rocket in designated flight VV09. The launch operations were performed by Arianespace. The first stage of the rocket motor utilised P80 advanced solid propellant, while the second and third stages of the rocket also utilised solid propellant motors. The launcher was topped-off by the bi-propellant liquid upper stage called Attitude and Vernier Upper Module (AVUM). The satellite was released in 57 minutes and 57 seconds after lift-off. The launch took place from the Vega Launch Complex (SLV) located in Kourou, French Guiana. 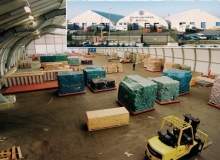 Sprung Structures designs, manufactures and delivers stressed membrane structures to provide economical, enclosed spaces quickly.